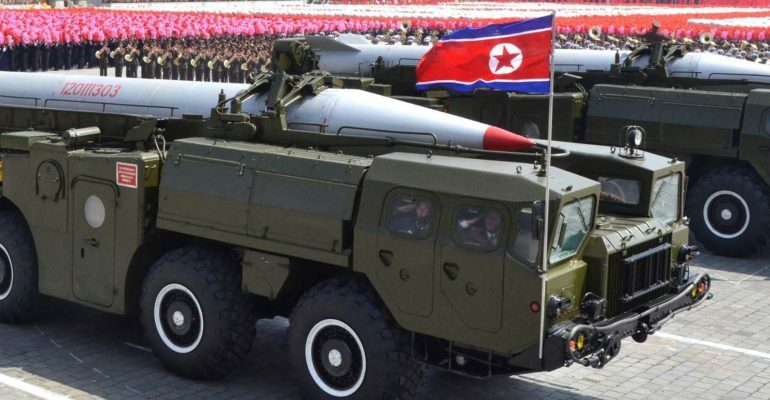 The range on the Scud-ER would allow the North Korean military to strike effectively anywhere on the peninsula at very little notice. Its mobility increases the missile’s resiliency to preemptive counter-force strikes. Likely targets include Seoul and U.S. and ROK military installations. In addition, at its maximum range, the Scud-ER could strike Japan, Russia, and even China. The proliferation of this missile system is also a concern. By selling the technology to Syria, it has increased that country’s strike range, allowing it to strike most of Israel and Southeastern Turkey. Markus Schiller, “Characterizing the North Korean Nuclear Missile Threat,” 2012, accessed June 11, 2014,http://www.rand.org/content/dam/rand/pubs/technical_reports/2012/RAND_TR1268.pdf. “Ballistic and Cruise Missile Threat,” Air Force ISR Agency, 2013, accessed June 11, 2014,http://www.afisr.af.mil/news/story.asp?id=123355694. “Cns Special Report On North Korean Ballistic Missile Capabilities,” Center for Nonproliferation Studies Monterey Institute of International Studies, March 22, 2006, accessed June 11, 2014, http://cns.miis.edu/stories/pdfs/060321.pdf . “No-Dong 1 North,” Federation of American Scientists, accessed June 11, 2014,http://www.fas.org/nuke/guide/dprk/missile/nd-1.htm. “Report: N. Korea Fired Improved Scud Missile,” Fox News, July 05, 2009, accessed June 11, 2014,http://www.foxnews.com/story/2009/07/05/report-n-korea-fired-improved-scud-missile/.